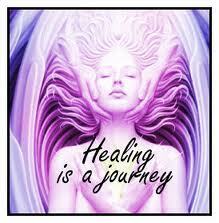 The journey to healing is, in my opinion, the most important part of your life journey. If you are willing to face the causes behind your illnesses, it can be very enlightening and just as empowering to find that the real “cure” has always lain within you. You truly are more powerful than you could have ever imagined! There may be some of you out there who are saying, “But I’m physically healthy, what meaning could this have for me?” (or something similar) Well, how’s your love life? How about your finances or your job/career? Are you living that “perfect” life you always dreamed of, without fear or doubt causing you discomfort? If you are….Bravo! Then perhaps this information has been placed in front of you to pass on to others you know, who aren’t doing quite so well. If your health is fine, but other areas of your life could use improving – read on because illness isn’t always about health. That’s something I know on a personal level and one of the reasons I believe in the information presented here. 1. Identify and rate a problem that you want to change. Is there a frustration or a distrustful memory that causes a stronger physical or emotional reaction than it should be? Perhaps there are habits of thought such as always worrying or seeing the downside to things or even patterns of behavior such as eating when you become upset that you would like to change. Write it down. Then, on a scale of 0 to 10 with 10 being the worst, rate this memory or habit. It’s not necessary to relive the memory or habit, you can view it as if watching a movie and remain more emotionally detached that way. 2. Establish a psychological receptiveness for change. Realize that some people actually don’t want to get over the fear or habit. Reasons for keeping the status quo can be financial or some other benefit that they receive from remaining the way they are. When this is the case, there can be an unconscious conflict about getting over the problem. For this reason, you create a Setup Affirmation by using the phrase, “Even though I have this (describe the problem), I deeply love and accept myself. 3. Initial round of treatment (the “Sandwich”). For this you will need a Reminder Phrase which is a word or short phrase that describes the problem. (For instance, if your Setup Affirmation was about your fear of spiders, you could use “fear of spiders” or just “spiders” as your Reminder Phrase.) Once again, this will be repeated out loud, continuously, as you tap the following points on your face and body. Tapping can be done with either hand or both hands simultaneously. (I prefer using both hands.) You can either tap using the index and middle fingers (which is what I do) or make the “three-finger notch” by including your thumb. Tap solidly, but not so hard you bruise yourself. At this point, you might be wondering why you would use a phrase that activates the unwanted feeling or response. That’s the whole point. You want that problem active in order to eliminate it. Energy interventions are only able to rewire unwanted feelings or responses if they are active at the time you perform the process. You will be tapping about seven times at each point as you repeat the Reminder Phrase, out loud. My personal experience has been that if I repeat the Reminder Phrase three times, while tapping a particular point, it produces about seven taps. –the beginning of the eyebrows, on the inside edge just above and to one side of the nose. This is also the beginning of the bladder meridian. –the sides of the eyes, on the bone bordering the outside corner of the eye. This is where the gall bladder meridian begins. –under the eyes, on the bone under each eye. This is the beginning of the stomach meridian. –under the nose, between the bottom of the nose and the top center of the upper lip. This is where the governing meridian ends. –under the lower lip, between the point of the chin and the center of the bottom lip. This is the ending point of the central meridian. –K-27 points, the ending point of the kidney meridian. -under the arms, about 4” beneath the armpit. There are points on the spleen meridian. –karate-chop points, the fleshy part of the outside of either hand (in the middle), suing all four fingers of the other hand or you can tap these points on both hands together- a method I prefer. You may want to practice doing this before you actually use it in practice. Remember, you will be tapping these eight points, while you repeat your Reminder Phrase three times. The Nine-Gamut Procedure is strange looking when being used, but stimulates specific parts of the brain, thus increasing the effectiveness of this energy intervention. Remember, the “Gamut” point is on the back of either hand and is about 1” beyond the knuckles, toward the wrist, between the little finger and ring finger. I have found tapping with my index finger and middle finger works quite well. You can tap with either hand or even switch hands if you want. 3. Move your eyes down to the right. 4. Mover your eyes down to the left. 5. Circle your eyes 360 degrees clockwise. 6. Circle your eyes 360 degrees counterclockwise. You can end the Nine Gamut by bringing your eyes down to the floor and then slowly and very deliberately bring them up to the ceiling, projecting your sight and the “old” energy out into the distance as your eyes move up the arc. Finally, you return to the first procedure, tapping each energy point while repeating your Reminder Phrase out loud, 3 times. You’ve just made your first energy intervention “Sandwich”! 4. Subsequent Rounds of the Sandwich. To know if more rounds of the Sandwich are needed, you will need to re-rate your problem. This is done by closing your eyes, bringing the original memory to mind and giving it a new rating from 0 to 10 as to the amount of distress you are feeling now, as you think about it. If your distress is gone or almost gone (0-2), good! Your work on this issue is done. If you’re still feeling a 3 or higher, more rounds are needed to bring the rating down. In subsequent rounds, you adjust your Setup Phrase by inserting either the word “still” or “some”. You recognize that progress has been made but there’s more to do. Your phrase might be: Even though I still have some of this (problem), I deeply love and accept myself. The Reminder Phrase will also need some adjusting. This can be done by simply inserting the word “remaining” in front of the original Reminder Phrase. 5. Challenge the results. After each round of the Sandwich, re-rate your distress level. You won’t always be able to get it down to 0 and may find that a 1 or 2 is the best you can do. That isn’t a bad thing. It may just mean that for right now you aren’t able conceive of a 0 for this problem. 6. If the problem is not responding – After 5 rounds, if the rating is still not down even close to 0, you may need to shift your focus or wording. It could even mean that this is a problem you need outside assistance with. It could also mean you need to address and identify other things that may be impeding your progress. This is what I will be talking about next time. I think you will find it interesting and enlightening. I know I did. 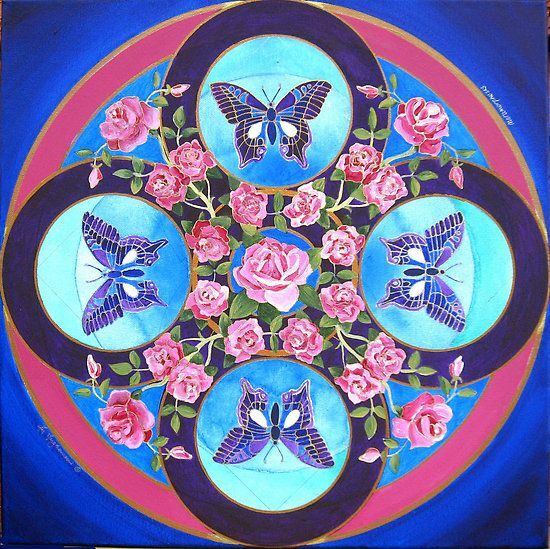 This entry was posted in Metaphysics and tagged EFT, Energy Medicine, Energy Psychology, Law of Attraction, Magick, Metaphysics, Paganism, Self-Empowerment, Self-Healing, Self-Help, Spirituality, Transformation, Vibrational Healing, Wholistic Healing, Wicca. Bookmark the permalink.